Quite a few ingredients are included to create this exfoliating, cleansing, and moisturizing scrub. 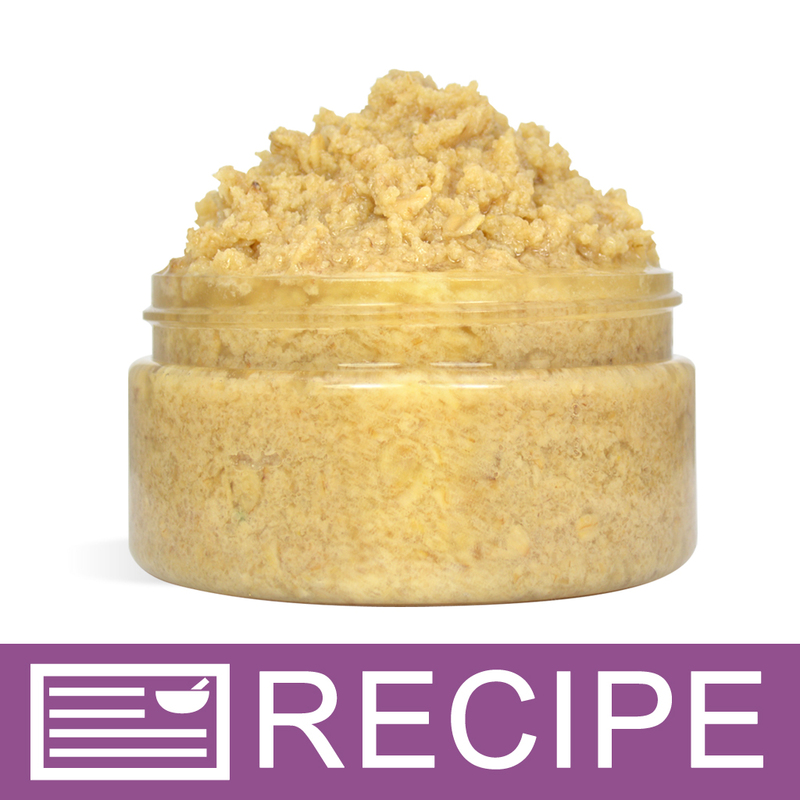 Brown sugar and chopped outs serve as the exfoliants, gently sloughing off dead skin. Detergent free goat milk soap base lathers and cleanses the skin. Finally walnut oil, shea butter, and castor oil contribute to the moisturizing attributes of this sweet vanilla scented scrub. You Save $5.85 by purchasing this kit rather than buying the items separately. Walnut Oil, Oats, Sugar, Shea Butter, Castor Oil, Glycerin, Sodium Cocoate, Propylene Glycol, Sodium Stearate, Water, Sorbitol, Goats Milk, Titanium Dioxide, Stearic Acid, Cetearyl Alcohol, Polysorbate 60, Fragrance, Vitamin E, Diazolidinyl Urea, Iodopropynyl Butylcarbamate. COMMENTS: I just love the idea of brown sugar and oats in a scrub. The scent makes you want to eat it...it smells that delicious. Maybe it was me but my scrub tuned out runny and looked like a bowl of oatmeal. I probably measured wrong with the ml measurements. I thought what I could do to fix it so that I did not have to throw it away and....presto...I added some foaming bath whip and whipped it up with my mixer and they came out perfect! I sprinkled some of the crystallized sugar on top and they look and smell amazing. I know my customers are going to love these. 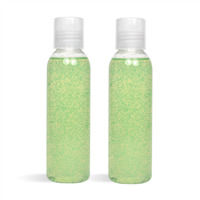 "How much Germaben II E do we need to add to this product if clients want to use this product in the shower? Also how is the products suppose to be used if its not meant for water contamination? I didn't see any how to use instructions? Thank you in advance "
Staff Answer The recipe states to add preservative at 0.5%. This would equal approximately 0.20 oz. We have actually added this to the recipe so there is no question as to whether or not it should be added. "Would this recipe work if I omitted the soap? I don't particularly care for scrubs with soap in them. " Staff Answer You will certainly need to test this. The recipe was made with soap and if it is left out of the recipe, it will certainly have a different texture and not be as thick.
" Hello is there a substitute that I can use for a walnut oil?" Staff Answer You can substitute any other oil you wish for the walnut oil. "What do you recommend for selling price?" Staff Answer Hi Robin - Our suggested retail price for the Brown Sugar and Oat Body Scrub is $14.95 per jar. You may want to charge more or less than that depending on your overhead and market. For more information on determining retail prices, Click Here.